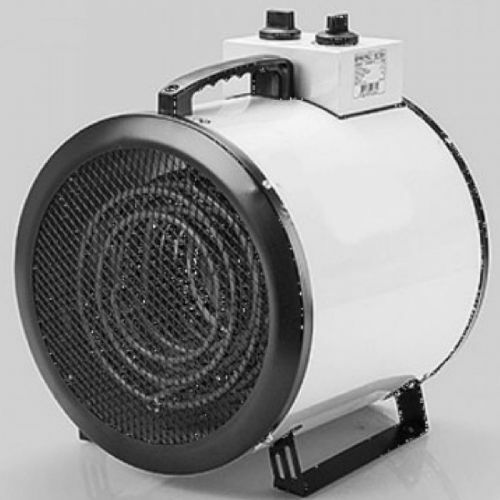 The KFG range of industrial electric fan heaters comes with a variable heating capacity which can be increased in two stages up to it's rated kW output. If desired, the fan can also be used in fan only operation only for air circulation without heating. The units temperature can be regulated as needed via the integrated variable thermostat. The KFG range of industrial electric fan heaters has a fully galvanized steel housing and has a robust, ergonomic carrying handle and skids.